Discover how to close the knowing-doing gap and transform your school or district into a high-performing professional learning community (PLC). The powerful third edition of this comprehensive action guide from experts Richard DuFour, Rebecca DuFour, Robert Eaker, Thomas W. Many, and Mike Mattos updates and expands on new and significant PLC topics. Explore fresh strategies, tools, and tips for hiring and retaining new staff, creating team-developed common formative assessment, implementing systematic interventions, and more. Build a shared knowledge of critical vocabulary and the concepts underlying the PLC process. Equip yourself with the knowledge and tools necessary to model effective reciprocal accountability and collective teacher efficacy. Make honest assessments of your school and teaching methods by examining conventional practices from a fresh, critical perspective. Take immediate and specific steps to close the knowing-doing gap. Move beyond creating an action plan for school improvement, and start doing. 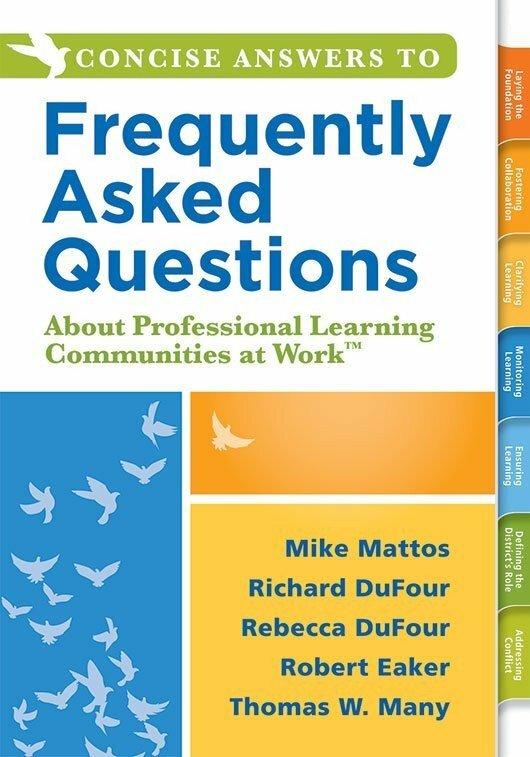 See also, the companion book, Concise Answers to Frequently Asked Questions About Professional Learning Communities at Work™, that provides readers with quick answers to help them move beyond specific problems in PLC implementation. We learn best by doing. We have known this to be true for quite some time. More than 2,500 years ago Confucius observed, “I hear and I forget. I see and I remember. I do and I understand.” Most educators acknowledge that our deepest insights and understandings come from action, followed by reflection and the search for improvement. After all, most educators have spent four or five years preparing to enter the profession—taking courses on content and pedagogy, observing students and teachers in classrooms, completing student teaching under the tutelage of a veteran teacher, and so on. Yet almost without exception, they admit that they learned more in their first semester of teaching than they did in the four or five years they spent preparing to enter the profession. This is not an indictment of higher education; it is merely evidence of the power of learning that is embedded in the work. Our profession also attests to the importance and power of learning by doing when it comes to educating our students. We want students to be actively engaged in hands-on authentic exercises that promote experiential learning. How odd, then, that a profession that pays such homage to the importance of learning by doing is so reluctant to apply that principle when it comes to developing its collective capacity to meet students’ needs. Why do institutions created for and devoted to learning not call on the professionals within them to become more proficient in improving the effectiveness of schools by actually doing the work of school improvement? Why have we been so reluctant to learn by doing? 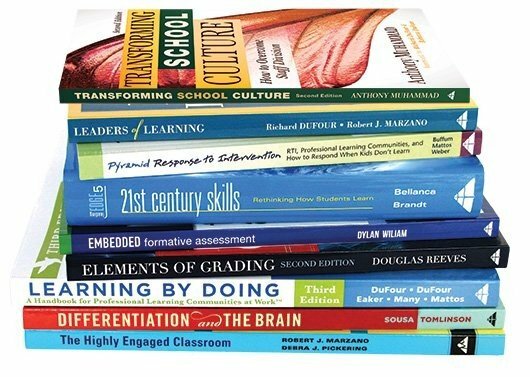 Since 1998, we have published many books and videos with the same two goals in mind: (1) to persuade educators that the most promising strategy for meeting the challenge of helping all students learn at high levels is to develop their capacity to function as a professional learning community and (2) to offer specific strategies and structures to help them transform their own schools and districts into PLCs. 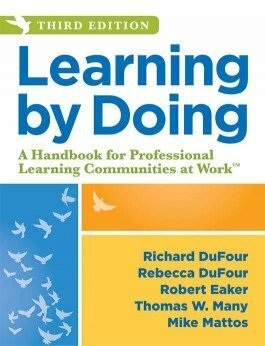 It has been interesting to observe the growing popularity of the term professional learning community. In fact, the term has become so commonplace and has been used so ambiguously to describe virtually any loose coupling of individuals who share a common interest in education that it is in danger of losing all meaning. This lack of precision is an obstacle to implementing PLC processes because, as Mike Schmoker (2004) observes, “clarity precedes competence” (p. 85). Thus, we begin this handbook with an attempt to clarify our meaning of the term. To those familiar with our past work, this step may seem redundant, but we are convinced that redundancy can be a powerful tool in effective communication, and we prefer redundancy to ambiguity. The PLC process is not a program. It cannot be purchased, nor can it be implemented by anyone other than the staff itself. Most importantly, it is ongoing— a continuous, never-ending process of conducting schooling that has a profound impact on the structure and culture of the school and the assumptions and practices of the professionals within it. We have seen other instances in which educators assume that a PLC is a meeting— an occasional event when they meet with colleagues to complete a task. It is not uncommon for us to hear, “My PLC meets Wednesdays from 9:00 a.m. to 10:00 a.m.” This perception of a PLC is wrong on two counts. First, the PLC is the larger organization and not the individual teams that comprise it. While collaborative teams are an essential part of the PLC process, the sum is greater than the individual parts. Much of the work of a PLC cannot be done by a team but instead requires a schoolwide or districtwide effort. So we believe it is helpful to think of the school or district as the PLC and the various collaborative teams as the building blocks of the PLC. Second, once again, the PLC process has a pervasive and ongoing impact on the structure and culture of the school. If educators meet with peers on a regular basis only to return to business as usual, they are not functioning as a PLC. So the PLC process is much more than a meeting. Other educators have claimed they are members of a PLC because they engage in dialogue based on common readings. The entire staff reads the same book or article, and then members meet to share their individual impressions of what they have read. But a PLC is more than a book club. Although collective study and dialogue are crucial elements of the PLC process, the process requires people to act on the new information. So, what is a PLC? We argue that it is an ongoing process in which educators work collaboratively in recurring cycles of collective inquiry and action research to achieve better results for the students they serve. PLCs operate under the assumption that the key to improved learning for students is continuous job-embedded learning for educators. The following section examines the elements of the PLC process more closely. There are three big ideas that drive the work of the PLC process. The progress a district or school experiences on the PLC journey will be largely dependent on the extent to which these ideas are considered, understood, and ultimately embraced by its members. The first (and the biggest) of the big ideas is based on the premise that the fundamental purpose of the school is to ensure that all students learn at high levels (grade level or higher). This focus on and commitment to the learning of each student are the very essence of a learning community. When a school or district functions as a PLC, educators within the organization embrace high levels of learning for all students as both the reason the organization exists and the fundamental responsibility of those who work within it. In order to achieve this purpose, the members of a PLC create and are guided by a clear and compelling vision of what the organization must become in order to help all students learn. They make collective commitments clarifying what each member will do to create such an organization, and they use results-oriented goals to mark their progress. Members work together to clarify exactly what each student must learn, monitor each student’s learning on a timely basis, provide systematic interventions that ensure students receive additional time and support for learning when they struggle, and extend their learning when students have already mastered the intended outcomes. There is no ambiguity or hedging regarding this commitment to learning. Whereas many schools operate as if their primary purpose is to ensure that students are taught or are merely provided with an opportunity to learn, PLCs are dedicated to the idea that their organization exists to ensure that all students actually acquire the essential knowledge, skills, and dispositions of each unit, course, and grade level. Every potential organizational practice, policy, and procedure is assessed on the basis of this question: Will this ensure higher levels of learning for our students? All the other characteristics of a PLC flow directly from this epic shift in assumptions about the purpose of the school. The second big idea driving the PLC process is that in order to ensure all students learn at high levels, educators must work collaboratively and take collective responsibility for the success of each student. Working collaboratively is not optional, but instead is an expectation and requirement of employment. Subsequently, the fundamental structure of a PLC is the collaborative teams of educators whose members work interdependently to achieve common goals for which members are mutually accountable. These common goals are directly linked to the purpose of learning for all. The team is the engine that drives the PLC effort and the primary building block of the organization. It is difficult to overstate the importance of collaborative teams in the improvement process. It is even more important, however, to emphasize that collaboration does not lead to improved results unless people are focused on the right work. Collaboration is a means to an end, not the end itself. In many schools, staff members are willing to collaborate on a variety of topics—as long as the focus of the conversation stops at their classroom door. In a PLC, collaboration represents a systematic process in which teachers work together interdependently in order to impact their classroom practice in ways that will lead to better results for their students, for their team, and for their school. Working together to build shared knowledge on the best way to achieve goals and meet the needs of those they serve is exactly what professionals in any field are expected to do, whether it is curing the patient, winning the lawsuit, or helping all students learn. 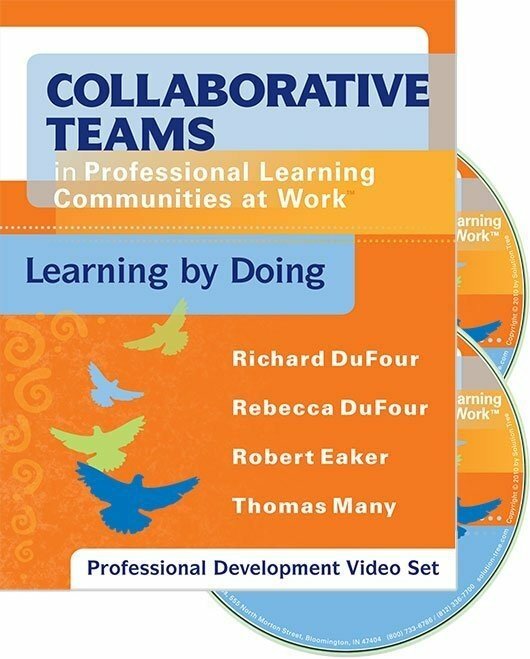 Members of a professional learning community are expected to work and learn together. The third big idea that drives the work of PLCs is the need for a results orientation. To assess their effectiveness in helping all students learn, educators in a PLC focus on results—evidence of student learning. They then use that evidence of learning to inform and improve their professional practice and respond to individual students who need intervention or enrichment. Members of a PLC recognize that all of their efforts must ultimately be assessed on the basis of results rather than intentions. Unless their initiatives are subjected to ongoing assessment on the basis of tangible results, they represent random groping in the dark rather than purposeful improvement. As Peter Senge and colleagues (Senge, Ross, Smith, Roberts, & Kleiner, 1994) conclude, “The rationale for any strategy for building a learning organization revolves around the premise that such organizations will produce dramatically improved results” (p. 44). The intent of this cyclical process is not simply to learn a new strategy, but instead to create conditions for perpetual learning—an environment in which innovation and experimentation are viewed not as tasks to be accomplished or projects to be completed but as ways of conducting day-to-day business, forever. Furthermore, participation in this process is not reserved for those designated as leaders; rather, it is a responsibility of every member of the organization. This focus on results leads each team to develop and pursue measurable improvement goals for learning that align with school and district goals. It also drives teams to create a series of common formative assessments that are administered to students multiple times throughout the year to gather ongoing evidence of student learning. Team members review the results from these assessments in an effort to identify and address program concerns (areas of learning where many students are experiencing difficulty). They also examine the results to discover strengths and weaknesses in their individual teaching in order to learn from one another. Very importantly, the assessments are used to identify students who need additional time and support for learning. We will make the case that frequent common formative assessments represent one of the most powerful tools in the PLC arsenal. At the same time, however, there are elements of the PLC process that are “tight,” that is, they are nondiscretionary and everyone in the school is required to adhere to those elements. The tight elements of the PLC process are listed in the feature box on page 14. Educators work collaboratively rather than in isolation, take collective responsibility for student learning, and clarify the commitments they make to each other about how they will work together. The fundamental structure of the school becomes the collaborative team in which members work interdependently to achieve common goals for which all members are mutually accountable. The team establishes a guaranteed and viable curriculum, unit by unit, so all students have access to the same knowledge and skills regardless of the teacher to whom they are assigned. The team develops common formative assessments to frequently gather evidence of student learning. The school has created a system of interventions and extensions to ensure students who struggle receive additional time and support for learning in a way that is timely, directive, diagnostic, and systematic, and students who demonstrate proficiency can extend their learning. The team uses evidence of student learning to inform and improve the individual and collective practice of its members. The debate that has raged about whether or not school improvement should be top-down and driven by administrative mandates or bottom-up and left to the discretion of individuals or groups of teachers has been resolved. Neither top-down nor bottom-up works. Top-down fails to generate either the deep understanding of or commitment to the improvement initiative that is necessary to sustain it. The laissezfaire bottom-up approach eliminates the press for change and is actually associated with a decrease in student achievement (Marzano & Waters, District Leadership That Works, 2009). High-performing PLCs avoid the too-tight/too-loose trap by engaging educators in an improvement process that empowers them to make decisions at the same time that they demand adherence to core elements of the process (DuFour & Fullan, Cultures Built to Last, 2013). We will reference this simultaneously loose and tight culture throughout this book. The keys to creating a PLC culture that is simultaneously loose and tight are first, getting tight about the right things (as listed in the feature box), and then communicating what is tight clearly, consistently, and unequivocally. Marcus Buckingham (2005) contends that the “one thing” leaders of any organization must know to be effective is the importance of clarity. Powerful communication is simple and succinct, driven by a few key ideas, and is repeated at every opportunity (Collins, 2001; Pfeffer & Sutton, 2000). Leaders must realize, however, that the most important element in communicating is congruency between their actions and their words. It is not essential that leaders are eloquent or clever; it is imperative, however, that they demonstrate consistency between what they say and what they do (Collins & Porras, 1994; Covey, 2006; Erkens & Twadell, Leading by Design, 2012; Fullan, 2011; Kanold, The Five Disciplines of PLC Leaders, 2011; Kouzes & Posner, 1987). When leaders’ actions are inconsistent with what they contend are their priorities, those actions overwhelm all other forms of communication (Kotter, 1996). One of the most effective ways leaders communicate priorities is by what they pay attention to (Kouzes & Posner, 2003; Peters & Austin, 1985). 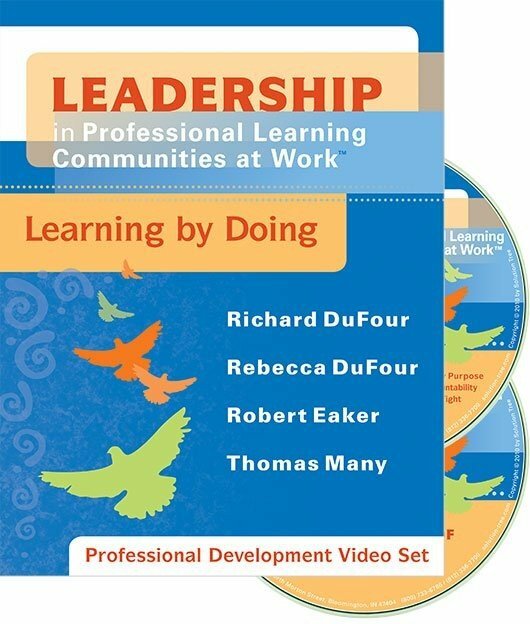 Subsequent chapters provide specific examples of leaders communicating what is valued by creating systems and structures to promote priorities, monitoring what is essential, reallocating time, asking the right questions, responding to conflict in strategic ways, and celebrating evidence of collective commitments moving the school closer to its vision. It is important to help your staff build shared knowledge regarding your school’s current status for effective communication. Addressing this critical component of a PLC helps in establishing a solid foundation. The need for clear communication is so vital to the PLC process that we present a continuum of effective communication for your consideration. “The Professional Learning Communities at Work™ Continuum: Communicating Effectively” is available online as a free reproducible. 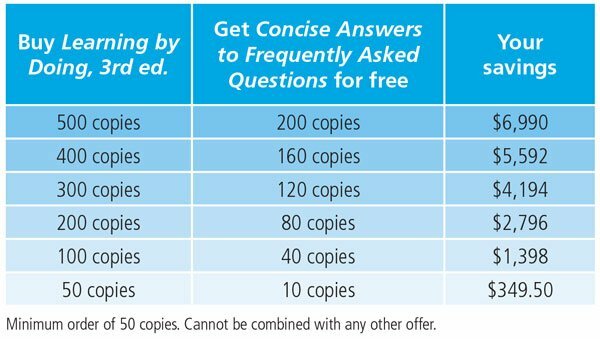 Once your staff have established greater clarity regarding the current status of your communication practices, we urge you to turn your attention to the “Where Do We Go From Here?” worksheet that accompanies the continuum (Also available for free to download). It will prompt you to take the action necessary to close the knowing-doing gap. Why Don’t We Apply What We Know? As we have shared our work in support of PLCs with educators from around the world, we have become accustomed to hearing the same response: “This just makes sense.” It just makes sense that a school committed to helping all students learn at high levels would focus on learning rather than teaching, would have educators work collaboratively, would ensure students had access to the same curriculum, would assess each student’s learning on a timely basis using consistent standards for proficiency, and would create systematic interventions and extensions that provide students with additional time and support for learning. It just makes sense that we accomplish more working collaboratively than we do working in isolation. It just makes sense that we would assess our effectiveness in helping all students learn on the basis of results—tangible evidence that they have actually learned. It just makes sense! In fact, we have found little overt opposition to the characteristics of a PLC. The best educational book ever!